Diabetes is a condition associated with an acquired or inherent resistance to the effects of insulin. The resulting metabolic disruptions can have knock-on effects on various tissues types, most notably blood vessels. This gradually prevents them from ferrying oxygen and nutrients to the body, which can become particularly hard on internal organs and parts of the circulatory system that are far away from the heart. Accordingly, this phenomenon can result in vision loss (due to diabetic retinopathy), renal failure (due to diabetic kidney disease) and even amputations of lower limbs (due to the tissue becoming starved of circulation due to diabetes). These complications fall under the umbrella term 'diabetic vasculopathy.' Classically, it has been thought of as a disorder of blood vessel endothelium (the cells that form the inner linings of these structures) that impairs its ability to expand as normal in response to nitric oxide. This dilation, which is induced in order to allow blood to flow through the vessel as normal, mediates blood pressure and ensures continual circulation. However, scientists have recently found evidence to suggest that blood vessel components besides endothelium also play a role in diabetic vasculopathy. 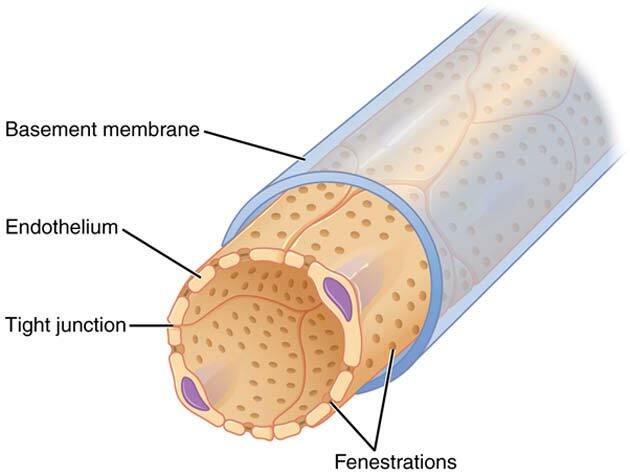 The tissue in question is the basement membrane, the next layer of biological tubes found immediately outside the endothelium. The membranes’ cells, known as pericytes, have no direct vascular functions and act more as a source of support and protection for the endothelial cells. However, it also appears that their conformations can affect the ability of these inner vascular layers to perform their functions. Some recent research has suggested that the basement membrane grows thicker in diabetic patients compared to normal healthy individuals, thus preventing the transmission of vital nutrients and gases through the epithelium and into non-vascular tissues. This is thought to be a particularly pressing issue at the capillary level. 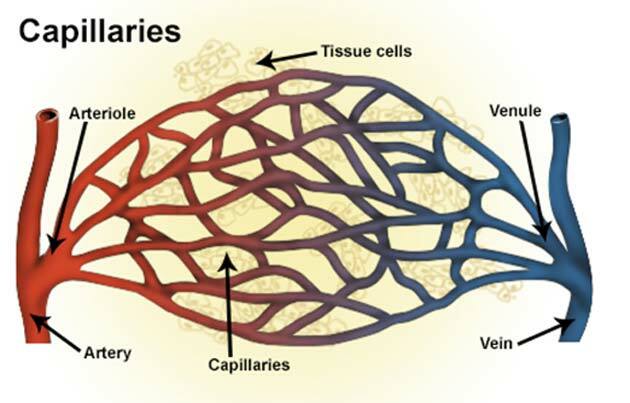 Capillaries are the increasingly tiny sub-divisions of larger blood vessels, which branch out further and further into various tissues so that as many individual cells are served with a blood supply as possible. Therefore, enough failed capillaries can result in increased losses of circulation over time. It translates to situations in which diabetic patients need to consistently check their feet for numbness or tingling, which may indicate that the tissues in these extremities are dying due to protracted blood loss. In many cases, this is prevented through good diabetes management but, in others, it may progress to the point that amputation becomes necessary. Major arteries and veins also have basement membranes, and may also contribute to a severe cardiovascular condition in some diabetic patients. The sum total of all known diabetic vasculopathies is now regarded as the primary source of death and debilitation risks among patients. Therefore, researchers are now working on methods of treatment that address basement membrane dysfunction in these individuals. Unfortunately, however, little is known about this pathology or its mechanisms in vivo. Hence, a group of researchers collaborating across the UK’s Wellcome Trust Sanger Institute, the US National Heart, Lung, and Blood Institute (NHLBI), as well as Vienna’s Institute of Molecular Pathology and Institute of Molecular Biotechnology of the Austrian Academy of Sciences, set out to develop an organoid that could help them solve this problem. An organoid resembles and ideally mimics a real organ or structure (e.g., an artery). They are grown with ever-increasing accuracy and efficacy in labs from pluripotent stem cells. 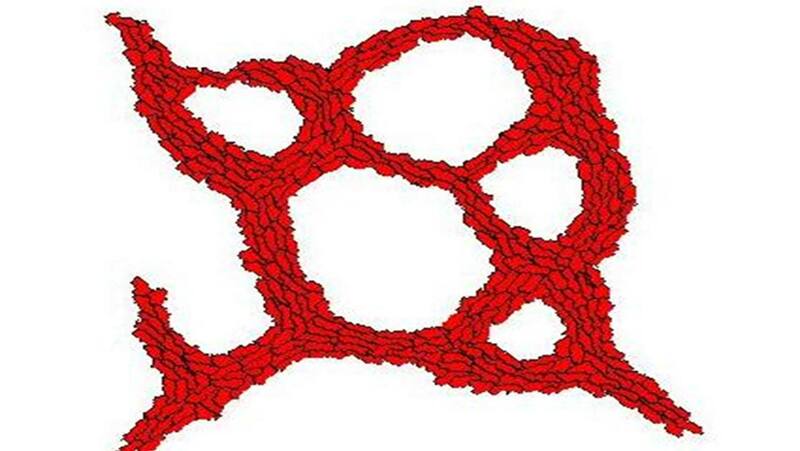 The Sanger/NHLBI/Vienna team developed a protocol by which networks of capillaries were formed from these basic precursor cells. The scientists reported that their new organoids looked and acted as natural small blood vessels would, right down to the basement membranes. The team did not stop there, though. They prepared in vitro environments for their organoids, containing the biological signaling molecules (e.g., cytokines) associated with an active diabetic state. These molecules include those that indicate hyperglycemia (the inability to metabolize glucose) and also inflammation, which is also increased in diabetic patients. These conditions resulted in pericyte changes that led to basement membrane thickening in the organoids. Therefore, the team concluded that the basement membrane may indeed play a role in diabetic vasculopathy. They were also able to use their organoids in order to identify two main physiological drivers of vasculopathy: the molecules, NOTCH3 and DLL. The group has concluded that basement membrane thickening may be associated with the actions of the enzyme, gamma-secretase. Overall, this study may have unearthed some new targets in the treatment of diabetes. The Future of Organoids in Diabetes Research? Furthermore, this research may point to the possibility that vasculopathies, such as those caused by diabetes, could be addressed through the direct replacement of dysfunctional blood vessels with new ones synthesized externally in clinics using stem cells. However, there is not much evidence to suggest that organoid technology is at this sci-fi-like stage yet. On the other hand, the researchers did also report that organoids that they had prepared and then transplanted into mice grew into authentic, functional venous or arterial trees capable of branching out into individual capillaries. Nevertheless, most organoids in use or development today are intended for the purposes of disease-modeling, as in this study, which has also recently been published in the journal, Nature. However, this is still another exciting advancement of this relatively new branch of biomedical research.